Hi Rosy, this blog is for you! Rosy blogged on making Sally Lunn’s Muffin here. Her pictures looked so nice that Ben asked that I try to make it using her recipe. Her muffins looks better — tall, nice and even have a blop on the top. 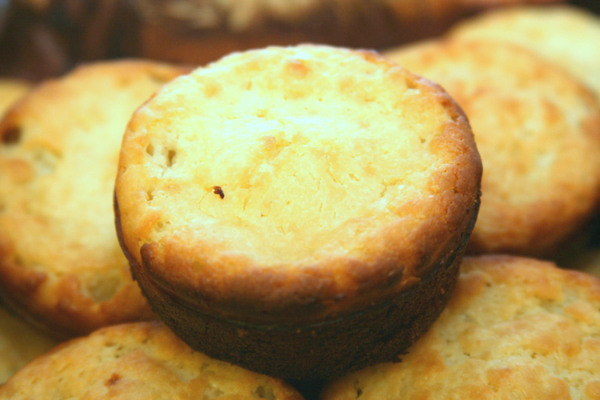 Sally Lunn’s muffins are bread said to have originated from Bath, England. There is actually a museum in Bath that is said to have been the home of Sally Lunn. If you want to find out more, here is their website. So Rosy, where did I go wrong? I am back with Part 2. 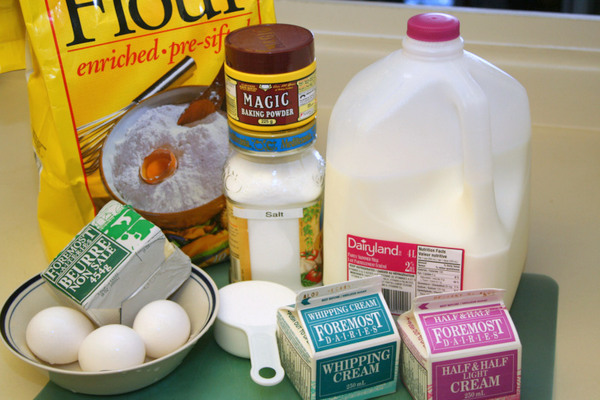 This is where I use the filling made in my previous blog to make the buns. Sally commented in my first blog that she prefers the baked type. 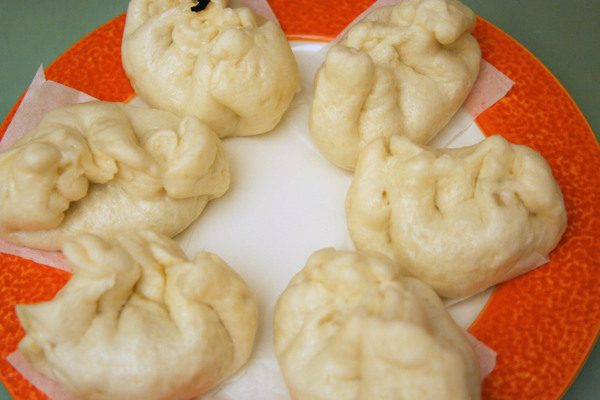 Oh yeah, that brings a point that there are two types of char sui bao (or char siu pau) — steamed and baked. The steamed ones like those shown below are the more common ones. 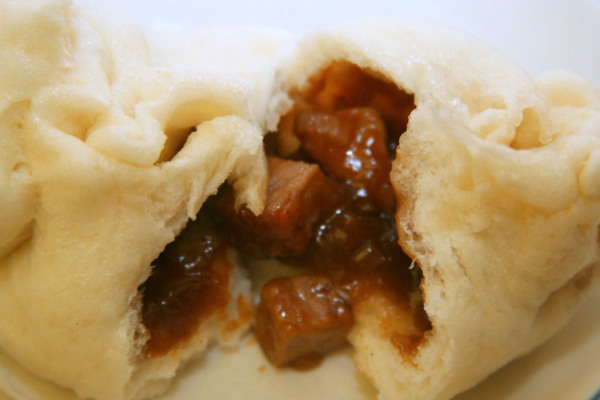 Here it is, the Char Siu Bao recipe as promised in our Xiao Long Bau blog. Char Siu Bao is translated as BBQ Pork Bun. The word Char Siu is cantonese for BBQ Pork. You can either buy the char siu from chinese restaurants or chinese BBQ meat shops. Alternatively, you can make it your own. It is not difficult and I have briefly blogged on how to make this in the Char Siu Wanton Noodle Soup blog. 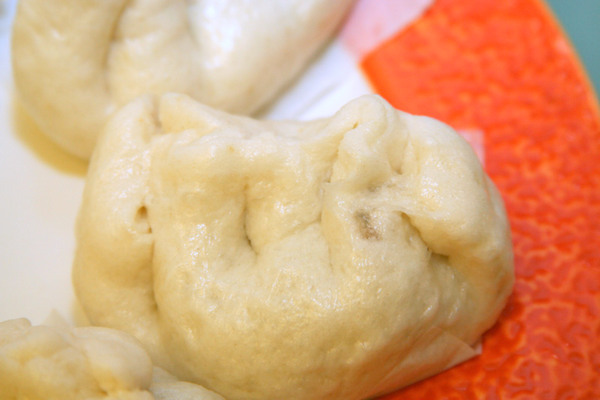 In this first part of my blog on Char Siu Bao, I will focus on making the char siu filling. I normally prepare the filling in the morning. This is because the filling has to be chilled in the refrigerator for at least 2 hrs before making the Char Siu Bao. This will firm up the filling for easy handling. You got to try this one out because I am 101% sure that everyone in your family will love this. LOL! 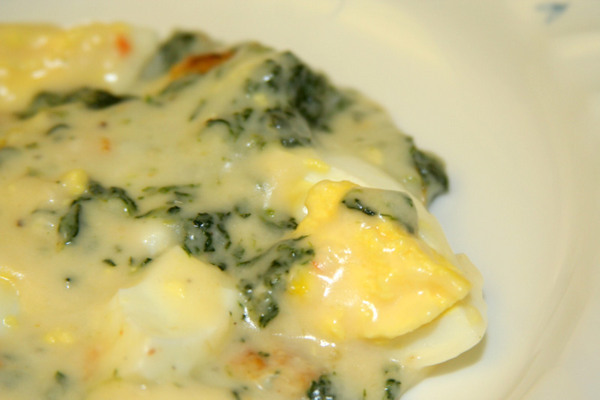 Believe it or not, but I have never seen Egg Florentine in real life before, let alone eat it or make it. But the name sounds fancy and I have seen some nice pictures of it. So, I gave it a try … trying to follow the recipe closely. This is how mine turns out!! Is this right? Honestly, tell me. It sure did not closely resemble some of the images I googled. It looks terrible but does taste quite OK — trust me, the boys told me so. If you let me know where I went wrong, I’ll try again and post my Eggs Florentine version 2.0. This is interesting. I did some digging and found some interesting stuff about Korean table etiquettes from Wikipedia. We always assumed that Korean table etiquettes are pretty similar but there are quite a bit of differences. 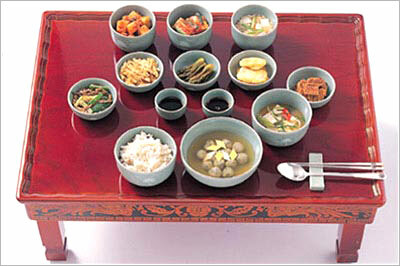 Although there is no prescribed order for eating the many dishes served at a traditional Korean meal, many Koreans start with a small portion of soup before eating the other dishes in any order they wish. Unlike other chopstick cultures, Koreans do not eat rice with chopsticks only but use sujeo a combination of a long shallow spoon and oval-shaped chopsticks. 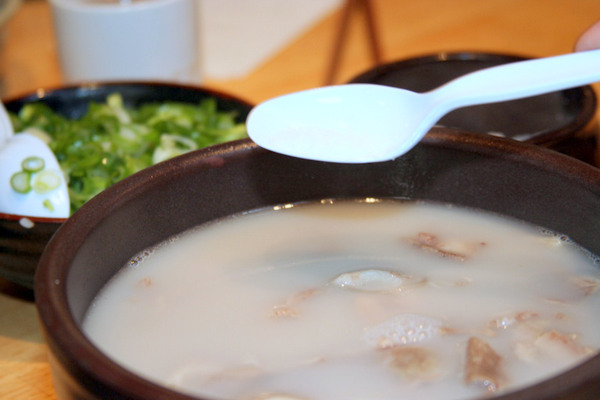 Koreans generally do not pick up their rice or soup bowls, but leave both on the table and eat from them with spoons. 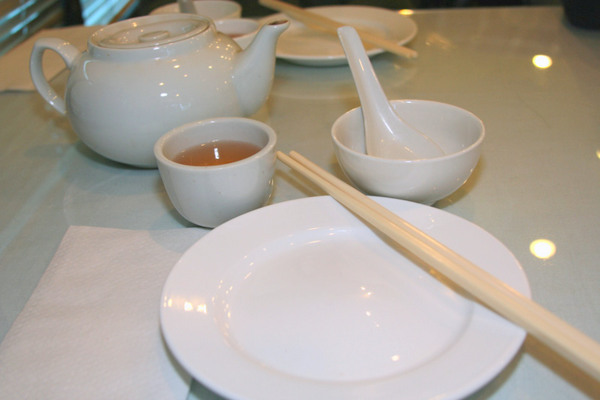 Side dishes are eaten with chopsticks. Bad manners include blowing one’s nose at the table (considered the rudest of acts), picking up chopstick or spoon before the oldest person starts the meal, chewing with an open mouth, talking with food in one’s mouth, making audible eating noises, sticking chopsticks or spoon straight up in a dish, stabbing foods with chopsticks, mixing rice and soup, and picking up food with one’s hands (with certain exceptions). In informal situations, these rules are often broken. Though diners do not need to finish all the shared food that was provided, it is customary to finish one’s individual portion of rice. Banchan dishes are intended to be finished at each meal, so are presented in small portions and replenished as they are emptied. It is acceptable to ask for refills on any of the side dishes. Updated: 3rd Feb 2015; This restaurant is closed. It was really confusing for us locating this place. 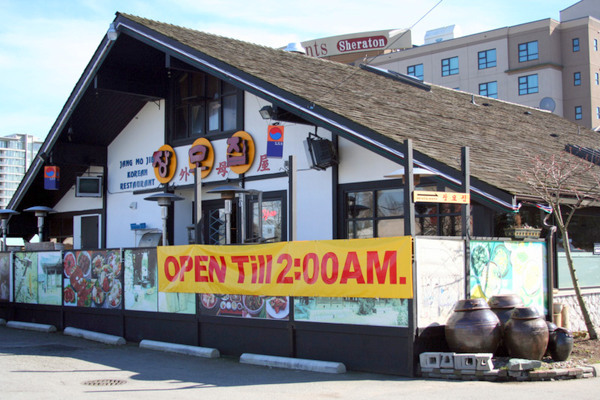 It is because the English name of this restaurant we went to is called the Jang Mo Jib Restaurant. We couldn’t read Korean but at least Suanne recognized the small Chinese translation on the signboard. Walking in, we were impressed because the decor was very nice with large wall-to-wall pictures of Korean lifestyles. Helen told us the price for each dish were on the average $7-$8 and looking at the settings in the restaurant, it sure looked more expensive. Reading the menu, most of the dishes were indeed as Helen said although there were some dishes that were over $20 per person. We stuck to the cheaper dishes and ordered three different dishes. 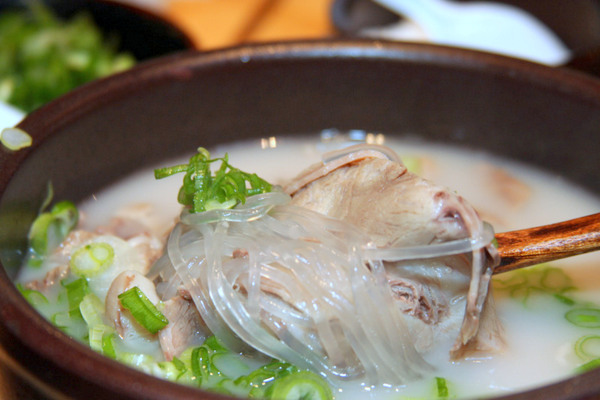 The Sul Lung Tang is a soup of cow bones and meat, simmered for several hours in a jumbo Korean iron pot until the soup is milky-white. This dish is served with two smaller bowls of coarse salt and chopped green onions. The coarse salt is used to season the soup depending on how you like it. Without the salt, the soup is quite bland. The soup also has some glass noodle and thinly sliced beef. Serving is large and more than enough for an adult. If you have never tried the Sul Lung Thang, you should. This is the restaurant’s signature dish. Price? $7.95. Ever had one of those days when you have planned to eat out but do not know where to go? Well, Suanne always insists that we eat out on the weekends because she says that since I get the weekend off work, she deserves the weekend off herself too. Last weekend we cruised along No 3 Road and were not sure where we were heading to. I came across this little unassuming place right across from the new Aberdeen Mall (and just right next to the T&T Supermarket) along Cambie. We were early and were their first customer for dinner. Needless to say, service were prompt. 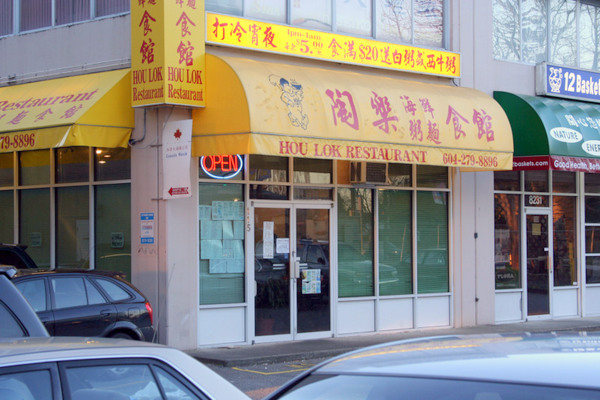 You tend to know that the food is really authentic when you see tacky looking hand written menus plastered all over the place — the Hou Lok Restaurant was one such place. We ordered the Chicken Ball in Szechuan sauce. This is spicy and is cooked with lots of onions and green pepper. 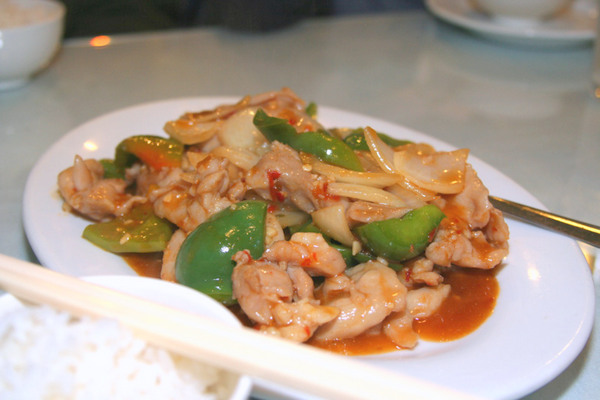 We liked the gravy/sauce in particular — goes great with steamed rice. A pearl is worthless as long as it is in its shell. 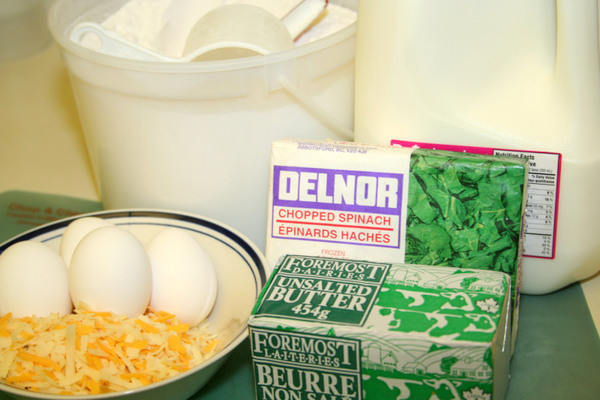 Here is the other dish that Winnie showed us how to make in our cooking class this week. 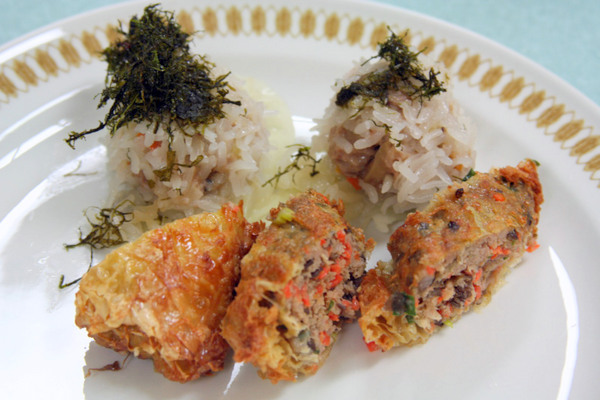 She called it the Pearl Ball, which is basically meat ball wrapped in glutinous rice. The dish derives it’s name from the translucent appearance of the glutinous rice in a ball shape. OK, here is the recipe for the syrup I made to serve with Tou Foo Fa. I used brown sugar slab to make the syrup. 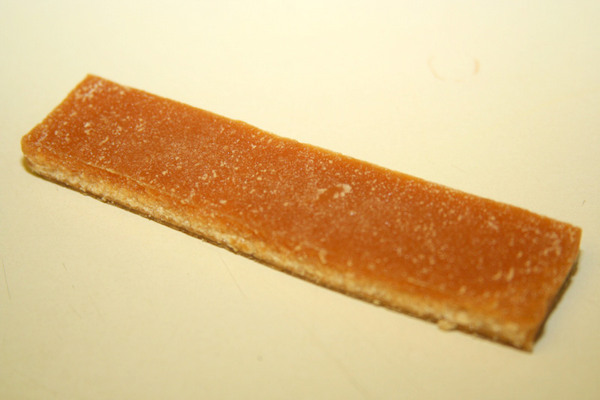 The syrup made from brown sugar slab has a nice golden colour. You can buy this type of sugar from any Chinese groceries stores. 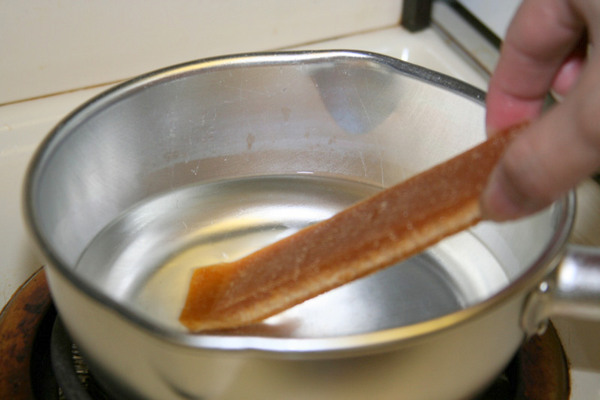 To make the syrup, boil one cup of water with one piece of brown sugar slab in a sauce pan. 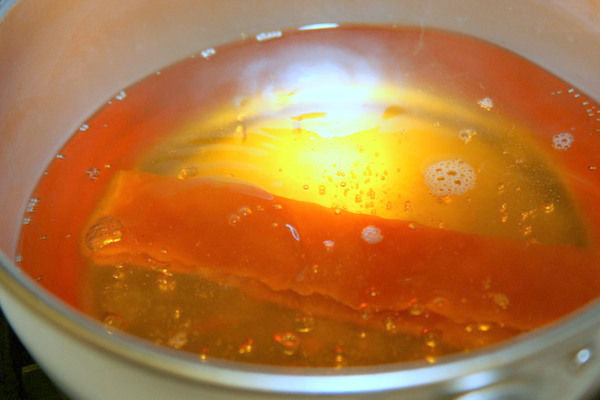 The syrup is ready when the sugar is completely dissolved. Today, Winnie showed us how to make Bean Curd Roll in the cooking club. 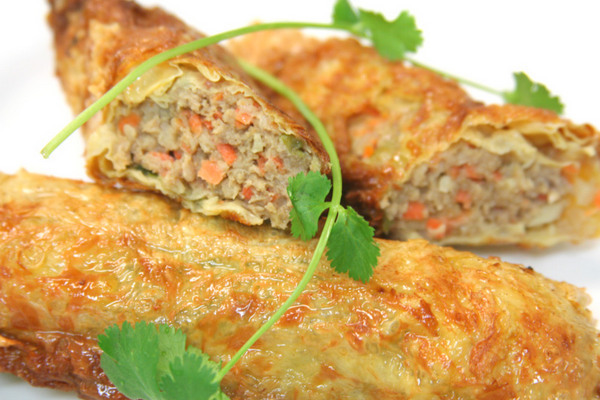 The Bean Curd Roll can be eaten hot from the steamer or deep fried.